Click on the button below to view all the tour dates and locations for our Discover Earth exhibition. Click on the button below to view and download posters from our Discover Earth exhibition. Discover Earth is made possible through the support of the National Science Foundation. The exhibition and its educational support materials and outreach opportunities are part of the STAR (Science-Technology Activities and Resources) Library Education Network (STAR_Net), a hands-on learning program for libraries and their communities. Partners include the National Center for Interactive Learning (NCIL) at the Space Science Institute (SSI), American Library Association, Lunar and Planetary Institute (LPI), and Afterschool Alliance. The STAR_Net team selected eight public library sites to host the second national tour of the interactive traveling exhibition Discover Earth: Our Changing Planet. Discover Earth will tour from October 2015 through September 2017. The eight sites selected will host the exhibition for a period of approximately three months each. The exhibition requires 800 square feet of space for optimal display. Each site was awarded a grant of $1,000 to support public programs related to the exhibition. The Discover Earth traveling exhibition includes a research study and evaluation of informal science education in a library setting. The knowledge gained through the evaluation of the Discover Earth project about the nature of informal science learning in libraries will benefit both libraries and the informal science education (ISE) community. A two-day orientation and program planning workshop for two library staff (Project Director and Project Coordinator) from each host library was held on September 22 and 23, 2015 at the Boulder Public Library. The workshop included an overview of STAR_Net and the exhibit as well as hands-on science activities from the Lunar and Planetary Institute, programming and outreach consultation with the Afterschool Alliance; and a number of professional training resources, including the STAR_Net Online Community. The view from space has deepened our understanding of Earth as a global, dynamic system. Instruments on satellites and spacecraft, coupled with advances in ground-based research, have provided us with astonishing new perspectives of our planet. The Discover Earth exhibition focuses on local earth science topics—such as weather and ecosystem changes—as well as a global view of our changing planet. The primary message of the exhibition is that the global environment changes – and is changed by – the local environment of all host communities. The exhibit is divided into three areas: A. Our Changing Planet, B. Ecosystems: The Web of life, and C. Environmental Change at Home. 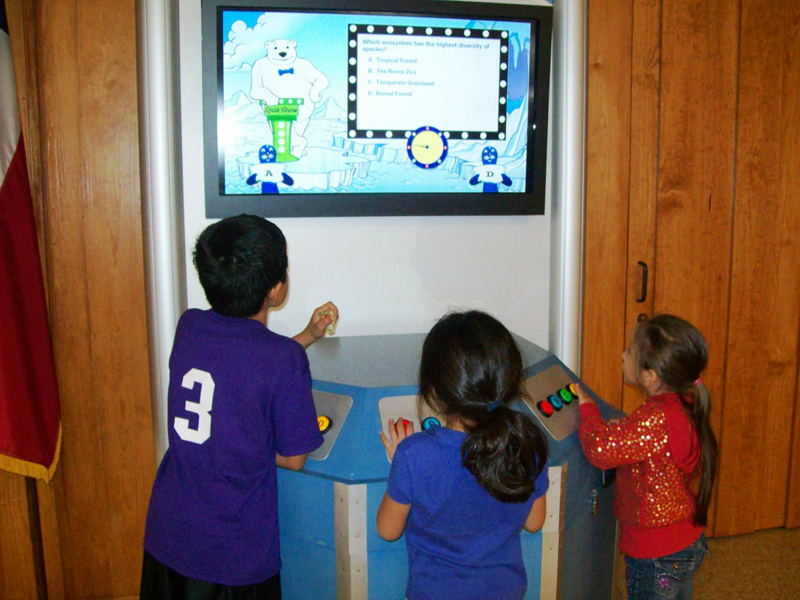 Exhibit components incorporate stunning graphics, video, animations, and simulation-based educational games. Library patrons learn that Earth is a complex, global system of interacting subsystems—rock, water, air, and life; understand that Earth’s global system changes on short and long-term time scales; understand the water cycle and the important role that water plays in the earth system; learn about the basics of weather and how meteorologists predict it locally; understand the difference between weather and climate; and learn how to become a thoughtful steward of Planet Earth. 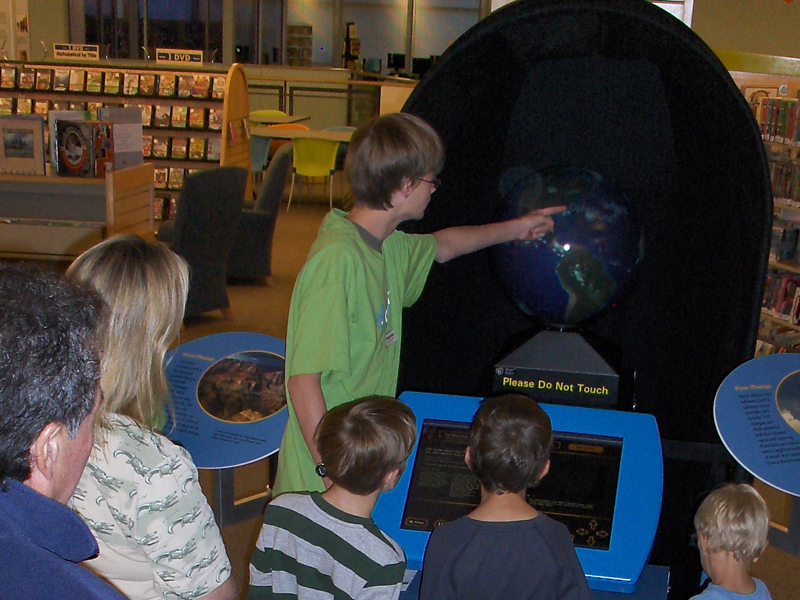 The exhibit features an 18-inch-diameter Magic PlanetTM Globe and a 42” Touch Table computer. The Globe displays stunning earth science visualizations from NSF, NOAA, & NASA research programs. It is operated by a touch screen computer. 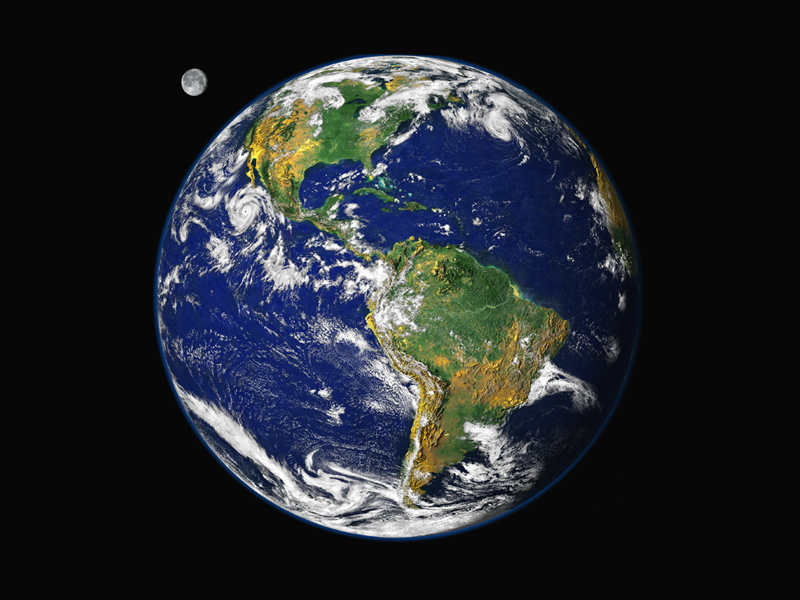 There are four interconnected thematic areas that explore several rich earth system topics: Moving Earth, Water World, Weather & Climate, and Life on Earth (or Living Planet). Each area has several visualizations that patrons can choose from (e.g. earthquakes, plate tectonics, tsunamis, hurricanes, changes in global temperature and sea ice, and more).The Touch Table allows multiple users to interact with digital information in a dynamic way. It provides unique opportunities for cooperative learning. Compelling multimedia pieces for the table device highlight the people who do earth and environmental science research in challenging places, such as at the poles and in Africa, as well as stories told by people who live in regions that are undergoing rapid changes in climate, such as in Alaska. 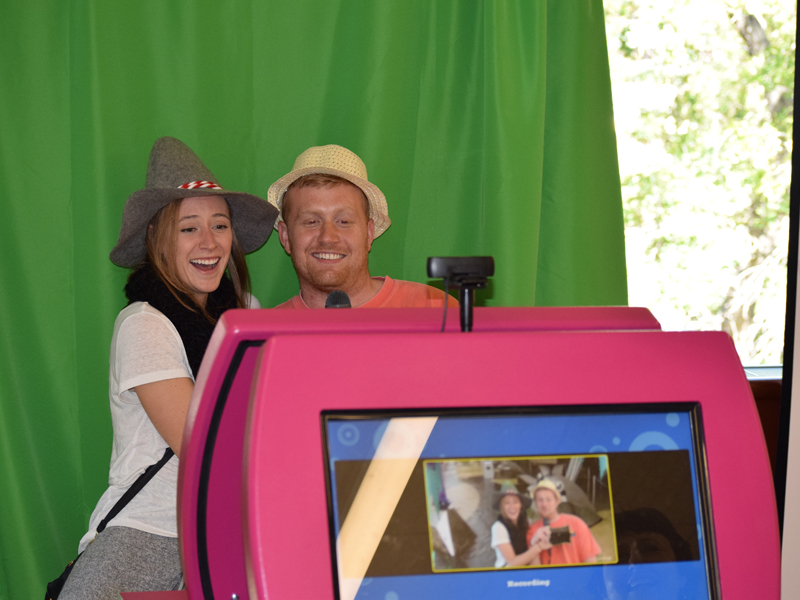 Another exhibit component, Discover Earth Quiz Show, is a quick-paced and humorous version of a TV game show. Up to three patrons are able to play a quiz game with a host (an animated polar bear) asking questions about earth science and delivering the answers. 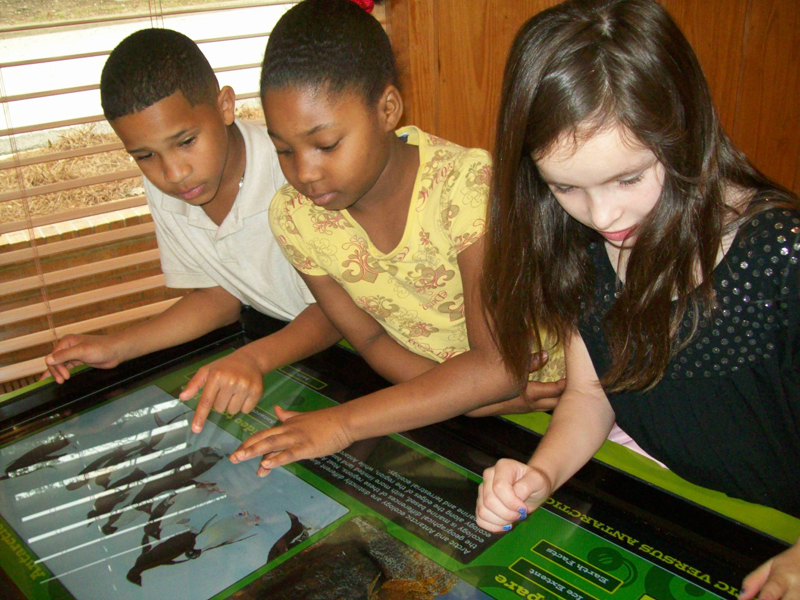 Discover Earth also includes several hands-on displays that complement the multimedia pieces. Patrons learn about remote sensing and how this global view has transformed our understanding of our planet. Each host library creates a photo archive of local environmental changes within the last 100 years and displays their photos as part of the exhibition (the Photo Wall). Libraries engage their community in discussing what has changed and has not changed in their communities over the last century. A Weather Report Green-Screen Station allows patrons to choose to be a reporter on-location in several different regions of our planet and to even select the time period: past, present or future! This station includes props and can get a bit noisy. Two Discovery Stations (one toddler height and one table height) includes various hands-on activities such as puzzles, art projects, and other (fun and messy!) hands-on activities. Activities come in totes allowing individual libraries to decide what activities to put out, and which need supervision.